Concrete is a ubiquitous building material, applied to the bulk of contemporary construction projects. 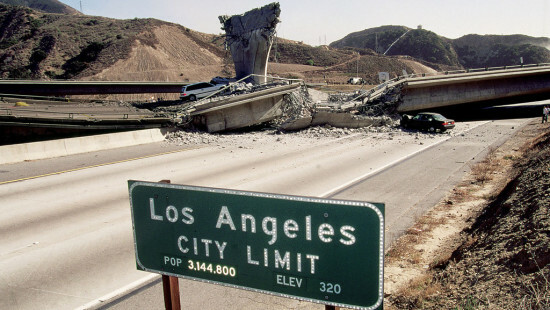 While the sedimentary aggregate is commonly used due to its impressive compressive strength, it remains a brittle material subject to damage or failure during extreme environmental events such as earthquakes. In response to this inherent weakness, a team of researchers based out of Purdue University’s Lyles School of Civil Engineering comprising professors Jan Olek, Pablo Zavattieri, Jeffrey Youngblood, and Ph.D. candidate Mohamadreza Moini has developed a 3-D-printed cement paste that actually gains strength when placed under pressure. The project, initiated in August 2016 with funding from the National Science Foundation, looked towards the natural durability and flexibility of arthropod shells. “The exoskeletons of arthropods have crack propagation and toughening mechanisms,” said Pablo Zavattieri, both of which can be reproduced “in 3-D-printed cement paste.” For the prototype, the research team cycled through a number of geometric configurations, including compliant, honeycomb, auxetic, and Bouligand designs. Each of these formats responds to external pressures differently; a compliant design acts as a spring under stress while the Bouligand boosts crack resistance. To assess the structural qualities of each prototype during and following testing, the team relied on micro-CT scanners. Through the use of this tool, the team was able to identify weaknesses present within the 3-D-printed objects, improving upon them with successive prototypes. What are the implications of the Purdue team’s 3-D-printed cement paste? In boosting the flexibility of concrete construction, the cement paste could add an extra factor of safety for the brittle material within conditions of environmental extremes, dampening the impact of momentary shocks. Admittedly, Zavattieri noted that the “minimum amount of material was used to prove the hypothesis.” However, there is no significant engineering hurdle in scaling up the technology to a potentially full-scale prototype and its ultimate application in architectural design. The 2011 Christchurch earthquake devastated much of New Zealand's capital city, knocking down or severely compromising civic buildings across the metropolitan area. Located within the cordoned off Central City Red Zone, the Christchurch Central Library was closed to the public for three years prior to its ultimate demolition in 2014. Completed in October 2018, the new Central Library, titled Turanga after the Māori word for base or foundation, designed by Schmidt Hammer Lassen Architects features a luminous perforated aluminum veil that cloaks a seismically engineered unitized curtain wall assembly. The 102,000-square-foot library rests atop a rectangular stone-clad podium detailed with expansive representations of Māori artwork. Rising to a height of five stories, the facade fissures to orient itself toward local geographic landmarks, including the mountain ranges of Maungatere, Ka Tiritiri o te Moana, and Horomaka. The principal facade element, a wedge-shaped aluminum perforated panel system, was designed as an oversized evocation of the native evergreen species used for traditional Māori textiles. Each panel is approximately a standard height of just under five feet, with widths varying between two, four, and six feet. Similar to the flexibility considerations of the concrete structural system, the design team placed an open joint between each story of perforated panels to allow for differential movement during a seismic event. For the golden veil that courses across the facade, Schmidt Hammer Lassen Architects coordinated with local fabricator of architectural metalwork, Metal Concepts. The aluminum sheets were pre-anodized to ensure color consistency and were subsequently cut, perforated, and folded into their respective shapes. To connect the panels to the curtainwall assembly, each is outfitted with a slotted hole at the rear of the frame which is fastened to a series of hooks extending from the story-height mullions of the unitized curtain wall. The perforations of the aluminum panels follow an approximately 2.5-square-inch triangular grid, with an indentation located on the corners of each triangle. Measuring just under an inch in diameter, the perforations play two roles; accentuating the depth and texture of the facade–the luminosity of the aluminum panels intensifies at sunset–and filtering light through the glass curtain wall. For the design team, which worked in collaboration with Lewis Bradford Consulting Engineers, one of the crucial considerations for the facade and structural systems was durability during a future seismic event. According to the architects, this seismic force-resisting system is composed of a series of flexible concrete walls that shift during earthquake accelerations. With a system of “high tensile, pre-tensioned steel cables that clamp the wall to the foundations with approximately 1,000 tons of force per wall,” the building is capable of returning to its original position following a sizable earthquake.